Marine 31 Forum - View Single Post - Marine31.com - 10% Off + $4.95 Flat Rate Shipping + FREE GIFT! Thread: Marine31.com - 10% Off + $4.95 Flat Rate Shipping + FREE GIFT! 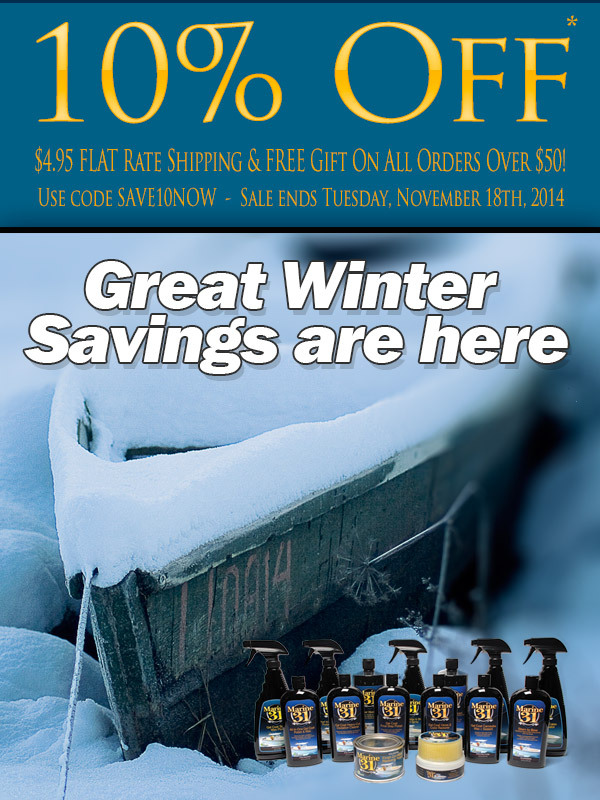 Why wait until Black Friday when you can stock up and save on your favorite line of marine care products TODAY! Save 10% off with coupon code SAVE10NOW, and enjoy flat rate shipping of $4.95. What’s more, orders over $50 will receive a FREE GIFT valued up to $20. Keep the gift for yourself, or re-gift it to a friend or family member (we won’t tell! ).